Denise is a Penn Hills resident who lives with her grandson and daughter, who is disabled. She currently works at Goodwill as an employment and activities specialist. Her salary has her living paycheck to paycheck, often leaving long-term home needs on the back burner. Denise prioritizes getting assistance with her taxes. Any mistake in her filing could cost her dollars she can’t afford to lose. She used to get tax assistance at the Carnegie Library. Five years ago she started having Just Harvest file her taxes at its South Side location when she realized it was closer to her home. 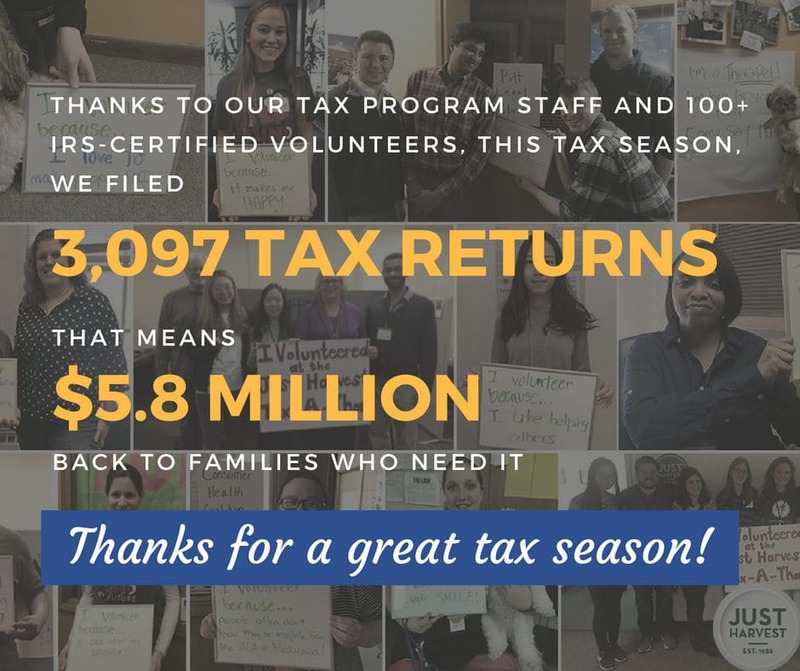 Just Harvest is a leading member of the United Way Free Tax Prep Coalition, whose 14 partner agencies provide free tax services to qualifying Allegheny County citizens. 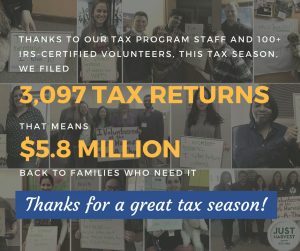 Our IRS-certified volunteer tax preparers help every one of our clients keep as much of their earned wages as possible by helping them avoid tax filing fees and by making sure they access whatever tax credits they are eligible for, like the Earned Income Tax Credit or Child Care Tax Credit. 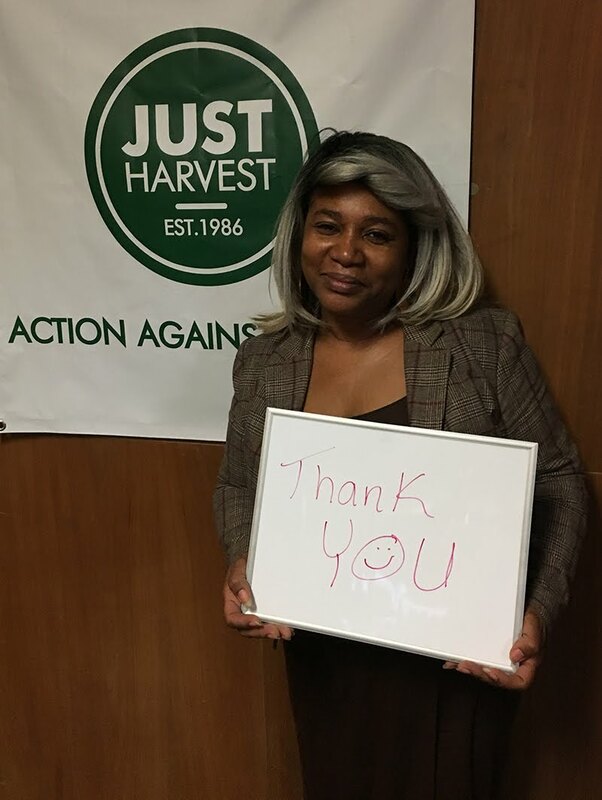 Denise was happy to share that Just Harvest helped her receive a federal tax refund this year of $5,000. 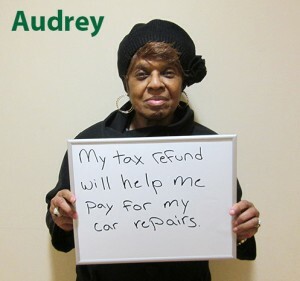 She said she’ll use her refund for roof repairs and replacing her water heater. She plans on saving her remaining money for emergencies. Denise she hopes she’ll be able to spare a little bit for “frills” around the holidays so she can have a special Christmas with her loved ones. Ari Peck, a senior at the University of Pittsburgh School of Social Work, joins Just Harvest as as a Tax Program and Community Engagement intern.